There is no doubt that the way web applications deal with data has changed significantly over the past decade. More data is being collected and more users are accessing this data concurrently than ever before. This means that scalability and performance are more of a challenge than ever for relational databases that are schema-based and therefore can be harder to scale. The SQL scalability issue was recognized by Web 2.0 companies with huge, growing data and infrastructure needs, such as Google, Amazon, and Facebook. They came up with their own solutions to the problem – technologies like BigTable, DynamoDB, and Cassandra. This growing interest resulted in a number of NoSQL Database Management Systems (DBMS’s), with a focus on performance, reliability, and consistency. A number of existing indexing structures were reused and improved upon with the purpose of enhancing search and read performance. 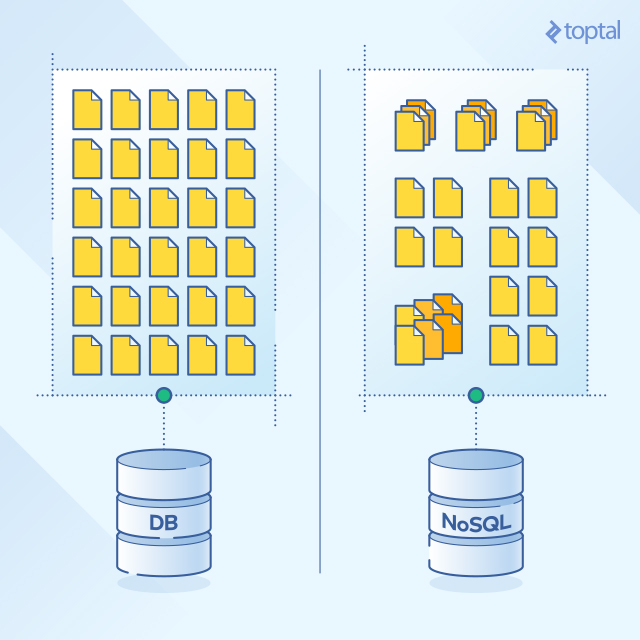 First, there were proprietary (closed source) types of NoSQL databases developed by big companies to meet their specific needs, such as Google’s BigTable, which is believed to be the first NoSQL system, and Amazon’s DynamoDB.